Dr. Scott Smith is keenly interested in our abilities to have knowledge of reality, particularly in the areas of ethics and religion. He also is very interested in the needed ontology to have knowledge. He addresses “constructivism,” the fact-value split, and issues with our being able to have knowledge on the basis of naturalism, postmodernism, and nominalism. In the west, until the Enlightenment, both ethics and religion tended to be seen as areas in which we could have knowledge. But that changed with the historical rise of 1) the view that the universe is a closed, mechanistic, and material system, 2) the view that science is the pinnacle of the disciplines, and 3) the rise of empiricism, science came to be viewed as the unique set of disciplines that gives us knowledge of facts. Instead, ethics and religion were relegated to the realm of mere values, personal preferences, and opinions. Before the rise of naturalism to prominence in the modern era, morals tended to be seen as the kind of thing that can be universal, objectively real, and transcendent, being knowable by reason and revelation. But under naturalism, morals have to be the kind of thing amenable to a physicalist ontology. Despite numerous alternatives proposed by naturalists (e.g., that morals are just a biological adaptation), Dr. Smith will argue that naturalism lacks the ontology to make sense of ethics. Moreover, he will argue that the fact-value split is false – i.e. that if naturalism is true, we cannot know anything (even in science, business, etc.). But we do know many things, even in ethics, and so naturalism is called into serious question. It lacks the explanatory power we need for moral knowledge. But that means a radically different worldview, and ontology, must be sought out and examined. 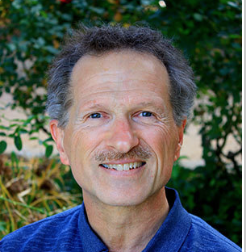 https://ubcgfcf.files.wordpress.com/2015/07/r-scott-smith-biola-2015-10-08-11-19-am.mp3 Audio of Talk B. If we cannot have any knowledge based on what naturalism allows as real, perhaps postmodernism (as explained by Wittgenstein or Derrida) might provide a favorable alternative. On this view, everything is interpretation, for there is no direct access to reality itself. To even have an experience requires interpretation. Thus postmodernism deconstructs and shows how science’s claim to a unique ability to give us knowledge of facts as they actually are in reality, is just another modern myth. Several ethicists have proposed more postmodern approaches to ethics, and a major figure is Alasdair MacIntyre. 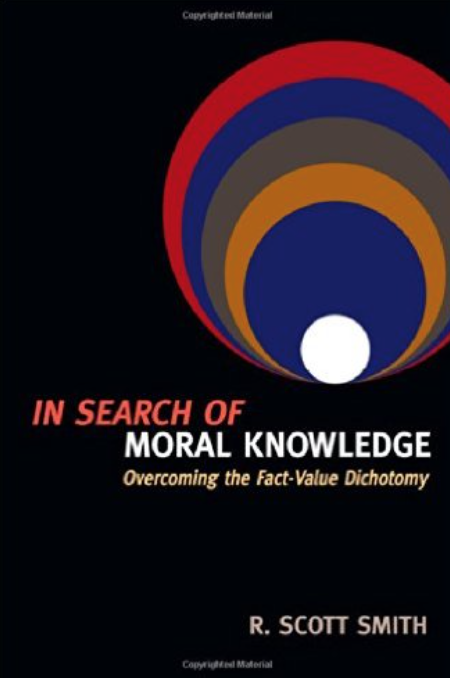 He proposes a return to Aristotle’s virtue ethics, modified in key ways, as a means to recover from the loss of moral knowledge precipitated by the Enlightenment. Yet knowledge now is to be understood as always from under a particular aspect; no one has an ahistorical, blind-to-nothing standpoint. For many scholars, the “postmodern condition” is axiomatic and reflects how we should move forward in ethics. But one may ask whether that indeed is the case. Professor Smith will argue that while postmoderns are right to draw our attention to the ways our situatedness affects how we interpret our experience, they are mistaken in their claims that everything is interpretation. Instead, he argue that we can know reality directly, and yet that does not mean we are blind-to-nothing, or can have a “God’s eye view”, or attain exhaustive knowledge. Postmodern attempts, moreover, cannot make adequate sense of what kind of things are some core moral principles and virtues (e.g. love and justice). If naturalist and postmodern approaches fail us regarding moral knowledge, is there a better explanation? Dr. Smith will argue that the best explanation is that moral principles and virtues exist objectively, and that they have a religious grounding – in God or theism. In this way, we can make robust sense of ethics. Professor R. Scott Smith received his PhD in Religion and Social Ethics from University of Southern California in 2000. He has been Professor of Philosophy and Ethics at Biola University since 2000. His academic interest is in Husserl, Phenomenology and Constructivism, Philosophy of Religion and Ethics. Deeply curious about the interrelationship of epistemology and metaphysics particularly in the area of ethics, he teaches graduate courses in ethics, philosophy of religion, metaphysics and epistemology. He is a member of the American Philosophical Association (APA). Dr. Smith is the author of a number of important books including In Search of Moral Knowledge: Overcoming the Fact-Value Dichotomy (IVP Academic, 2014), Naturalism and Our Knowledge of Reality: Testing Religious Truth-claims (Ashgate, 2012), and Virtue Ethics and Moral Knowledge: Philosophy of Language after MacIntyre and Hauerwas (Ashgate, 2003), along with many articles and chapters of books, including “Could We Know Reality, Given Physicalism? Nancey Murphy’s Views as Test Case,” Perspectives on Science and Christian Faith 64:3 (September, 2012). He was honored with the Biola Award for Excellence in Scholarship in the year 2007-2008. Boston College School of Theology & Ministry 140 Commonwealth Ave.
See also the following published 3 Research Bibliographies by James T. Bretzke, S.J. A Research Bibliography in Christian Ethics and Catholic Moral Theology. Lewiston NY: Edwin Mellen Press, 2006. A book-length annotated and thoroughly indexed bibliography arranged topically, covering both Roman Catholic and Protestant themes and authors with titles in English, French, German, Spanish, and Italian. Bibliography on Scripture and Christian Ethics. Studies in Religion and Society, 39. Lewiston NY: Edwin Mellen Press, 1997. Arranged both according to the Old and New Testament, as well as the individual books and/or authors of the New Testament. Entries are also given according to certain key thematic issues, such as methodology of the interplay and usage of the Bible in ethics, liberation theology and Scripture, biblical authority, feminist issues in biblical hermeneutics, as well as a number of theological themes such as justice and righteousness, the love command, law and gospel, sin and reconciliation, etc. Finally, entries are provided which cover a number of particular ethical themes such as ecology, economics, medical ethics, sexual ethics and gender issues, war and peace. A final section gathers titles which were published prior to the Second Vatican Council (1962- 1965) which marked a watershed for the greater appropriation of Scripture in the discipline of Roman Catholic moral theology. Bibliography on East Asian Religion and Philosophy. Studies in Asian Thought and Religion, 23. Lewiston NY: Mellen Press, 2001. Compiles, annotates, indexes and cross-references resources in the principal Western languages of English, French, German, Italian, and Spanish which focus on East Asia (principally China, Japan, and Korea) in the primary areas of philosophy and religious studies, with supporting resources in theology, history, culture, and related social sciences.